This book explores the history of African tangible and intangible heritages and its links with the public memory of slavery in Brazil and Angola. The two countries are deeply connected, given how most enslaved Africans, forcibly brought to Brazil during the era of the Atlantic slave trade, were from West Central Africa. Brazil imported the largest number of enslaved Africans during the Atlantic slave trade and was the last country in the western hemisphere to abolish slavery in 1888. Today, other than Nigeria, the largest population of African descent is in Brazil. Yet it was only in the last twenty years that Brazil’s African heritage and its slave past have gained greater visibility. Prior to this, Brazil’s African heritage and its slave past were completely neglected. Even after the abolition of slavery in Brazil, African culture continued to be marginalized. Carnival, religious festivals, as well as Candomblé ceremonies, and capoeira (an Afro-Brazilian martial art) created important spaces of black assertion and insurgency. These cultural traditions were contested by white elites and public authorities, but starting in the 1930s, capoeira became a national symbol and Candomblé temples were gradually officially added to Brazil’s list of heritage sites. In spite of these developments, the Atlantic slave past has remained absent from the public landscape of Brazilian and Angolan former slave ports, suggesting how difficult it is for these countries to address the painful legacies of slavery. African art and material culture also continued to be excluded from museums and other official institutions. In the rare instances that African artifacts were shown, they would be confined to only certain places dedicated to popular culture and associated with the religious sphere. Even though public attention on slavery was growing internationally through national and international initiatives (e.g., The Slave Route Project by UNESCO), Brazil and Angola developed very few initiatives for the memorialization of slavery and the Atlantic slave trade. This has started to change slowly in the last decade as Brazil has begun engaging in more initiatives to memorialize slavery and underscore the importance of its African heritage. Brazil’s slave past and African heritage are emerging gradually in urban and rural areas through different kinds of initiatives led not only by activists but also by scholars in association with black communities. Although in their early stages, most of these projects are permanent programs supported by official agencies. This new configuration suggests that––unlike the case in Angola––in Brazil, slavery and the Atlantic the slave trade are becoming recognized as foundational chapters of the country’s history. This is the first book in English to focus on African heritage and public memory of slavery in Brazil and Angola. This interdisciplinary study examines visual images, dance, music, oral accounts, museum exhibitions, artifacts, monuments, festivals, and others forms of commemoration to illuminate the social and cultural dynamics that over the last twenty years have propelled––or prevented––the visibility of African heritage (and its Atlantic slave trade legacy) in the South Atlantic region. The book makes a very important contribution to the understanding of the place of African heritage and slavery in the official history and public memory of Brazil and Angola, topics that remain understudied. The study’s focus on the South Atlantic world, a zone which is sparsely covered in the scholarly corpus on Atlantic history, will further research on other post-slave societies. 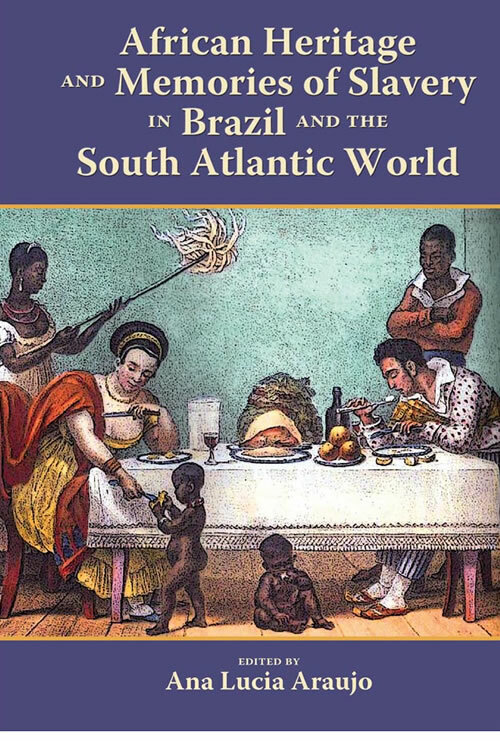 African Heritage and Memories of Slavery in Brazil and the South Atlantic World is an important book for African studies and Latin American studies. It is especially valuable for African Diaspora studies, African history, Atlantic history, history of Brazil, history of slavery, and Caribbean history.